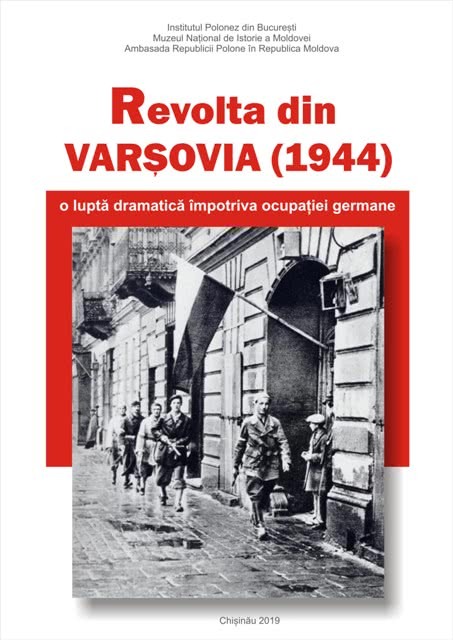 Photodocumentary exhibition "The Warsaw Rising (1944) - a dramatic battle against the German occupation" is organized by The Warsaw Rising Museum in collaboration with the Polish Institute in Bucharest and the Embassy of the Republic of Poland in the Republic of Moldova. 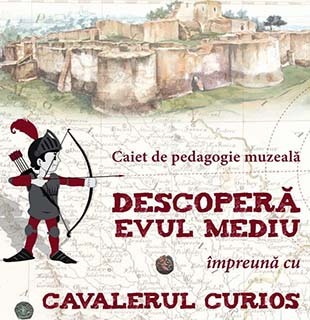 The exhibition is on display in the upper lobby of the National Museum of History of Moldova and can be visited between 2nd and 28th February, 2019. Testimonies of the 1944 events in Warsaw are the subject of 20 stands that present to the public documents, photographs and descriptions of the Polish people's efforts to gain freedom. 80 years have passed since the outbreak of the Second World War - the largest armed conflict in the history of mankind, involving almost all European countries along with their colonies, North and South American countries, as well countries in Asia. The Second World War began on September 1, 1939, with the invasion of Germany over Poland. On September 17, 1939, the Soviet Union also attacked the Polish territories. Attacked from the West and East, the country was under occupation. The Polish authorities left the country on the night form September 17 to 18 (their members fled originally in Romania) and continued their activity in emigration. On September 30, 1939, the Government of the Republic of Poland in exile officially had protested against the attacks on its territory, saying it will never recognize these acts of violence and will not stop fighting for the total liberation of the country from invaders. Unfortunately, due to a very large number of enemies, the last troops of the Polish Army deploy weapons on October 5. After the September defeat, the foundations of a secret organization set up by the military began to be established in Poland. Although in different occupied European countries existed more or less numerous secret organizations, only the Poles have created an unprecedented underground state with very developed military and civilian structures. The Polish underground state was not just a conspiratorial organization, but a continuation of the pre-war statehood. Administrative structures covering the entire pre-war area of the country, including, for example, a secret judicial and educational system were created. There was an underground representation of all the political forces in the country, and the soldiers of the secret Home Army were part of the Polish Armed Forces. The Home Army and the huge desire of the Poles to regain their freedom led to numerous liberation actions against both occupiers. The main theme of the exhibition presented in Chișinău is the Warsaw Rising (1944), whose 75th anniversary is celebrated in 2019. It was the largest military rising in the German occupied Europe. The Warsaw Rising began on August 1, 1944, at 5 pm (the so-called "W hour"), with the armed intervention of the Home Army troops. The rising had Germany as military target and the USSR and Polish Communists subordinated to the Soviets as political target. The command of Home Army was planning to liberate the capital of Poland without any help before the Red Army would advance, hoping that it would be able to strengthen the international position of the Polish government in exile and stop Stalin's sovietization of Poland. After the outbreak of the rising, the Red Army stopped its offensive in Warsaw, and the Soviet dictator refused constantly to provide insurgents with more consistent help. The support given to the Poles by the United States and the United Kingdom was limited and did not significantly influence the fate of Warsaw and its inhabitants. Despite the extremely difficult situation, for 63 days, the low-armed insurgent troops led a solitary battle with the overwhelming German forces, which ended with surrender on October 3, 1944. During the heroic battles in Warsaw, about 18 thousand insurgents have died and 25 thousand were injured. About 2.3 thousand soldiers from the First Polish Army under the command of General Zygmunt Berling, which was established in the USSR and which tried to help the capital during the rising, have died or disappeared. The casualties among civilians were huge and amounted to about 180,000 deaths. About 500,000 survivors, residents of Warsaw, were cast out of the city which, after the uprising, was almost completely destroyed. Using dynamite and heavy equipment, German troops destroyed the last remains of the standing buildings during more than three months. The tragic consequences of the Warsaw Rising can be seen in the Polish capital even today.